Could I just steal those boots? I absolutely love this look! Love the layering! That's such a nice necklace too! 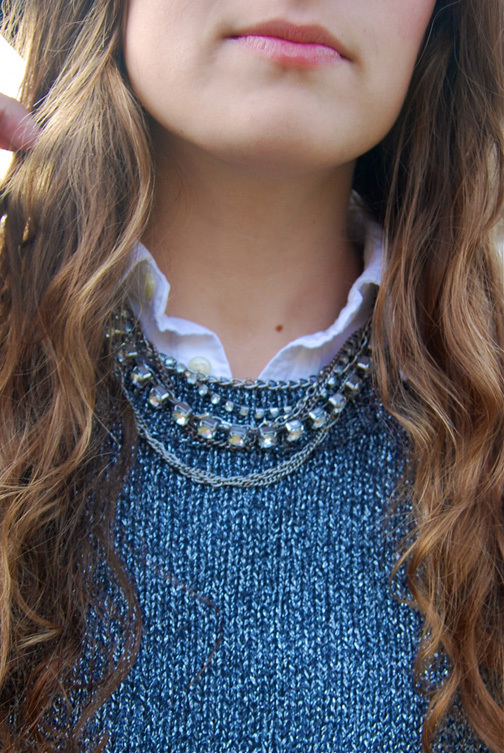 i love love love the layering of the shirt, sweater and necklaces. i love the sweater with the shirt under it!! Hi lovely, you look so pretty!!! I like the hat!! I follow you with Google now!! want us to continue to Bloglovin? I love a white shirt with a knit on top! And it goes beautifully with those boots! Ohh Rory, I LOVE the combination of the shirt and the sweater. Such an amazing look! Hi dear, you have a great sense of style. Love your hat and boots! I love your hat! I just found your blog,it's very cute! Looking great cutie! Loving the way you rock that hat, looks good on you! wow great outfit and oerfect figure! You look tall how tall are you? I love your layering here and your accessories as well. What a great look! I am a new follower. Would love for you to stop by my blog sometime and follow back if you're interested! Love your layering. SO cute. Love this look! So chic and those boots are amazing! 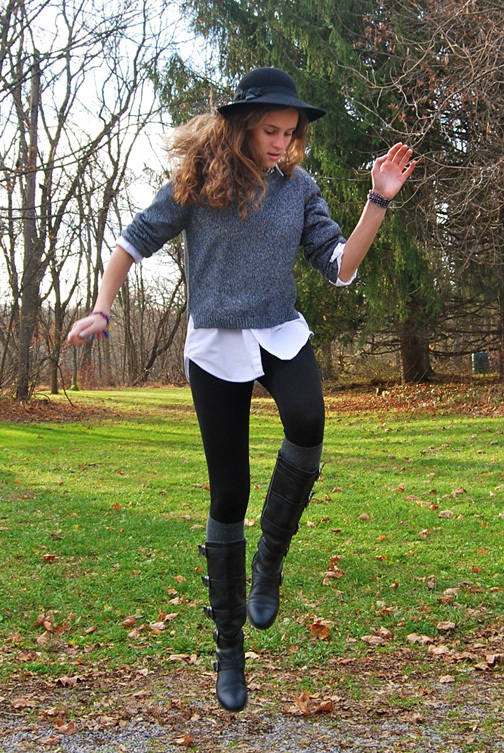 You have great style ;) I really love those boots. Oh and those bracelets you wear in the post below - LOVE! I liked well your blog and I follows you on google and bloglovin!!! If you like my blog you can follow it also !! Love the socks with the boots! adorable! love the hat. titanic always makes me cry. never fails. so beautiful, love the layering and your hat! 2) Watching Bridesmaids with girlfriends is one of the best ways to spend a day! i love cheeseball moments! and a movie night with two great movies and bffs sounds like a good time to me! also love your look! I really love that sweater on you, perfect color and fit! wow I absolutely love this look!! the boots are so cool! why don't we follow each other?